There is just something delicious and comforting about Indian food. It features slow-cooked, quality ingredients and everything is prepared with care. The country has a rich food culture with dishes inspired by the landscape, by religion, the seasons, and by just about anything else you can think of. 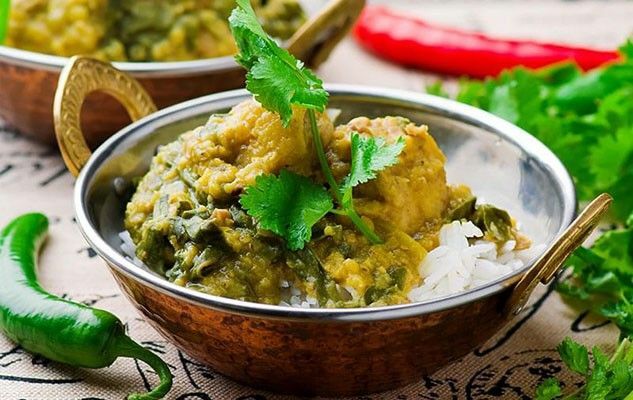 To help you take advantage of such fine cuisine, we’ve picked our ten favourite easy Indian recipes that you can prepare right at home! They’re simple, they’re healthy, and they’ll fill your home with delicious spicy aromas. Coconut is a staple of many Asian cuisines. It’s creamy, it’s aromatic, and it’s a good substitute for dairy and other heavy ingredients. This recipe takes advantage of all that for a smooth and delicious sauce scented with all the familiar spices of India. Soup might not spring to mind when you think of Indian recipes, but this one is definitely worth trying. With a chicken broth base and tons of hearty vegetables and legumes, it’s an excellent warm and hearty dish for the winter. Make it as mild or as spicy as you like! This might look like a dessert, but it’s more of a palate cleanser. Raita is traditionally served alongside a spicy dish to help cool you down. However, like sorbet, it can certainly be enjoyed on its own. Bananas are common in Indian cooking and this is an excellent preparation.